Presets store the separate control settings for two users. C3 201 Electric Bidet Seat For Elongated Toilets In White Experience a new level of cleansing for daily comfort and confidence. This advanced C3 toilet seat with cleansing functionality uses naturally soothing water as a refreshing, hygienic alternative to toilet tissue. A remote control lets you instantly adjust the water spray for position, temperature, and oscillating or pulsating motion-and you can store preferred settings for two users. Other amenities include a heated seat, adjustable warm-air flow for drying, and built-in odor control. 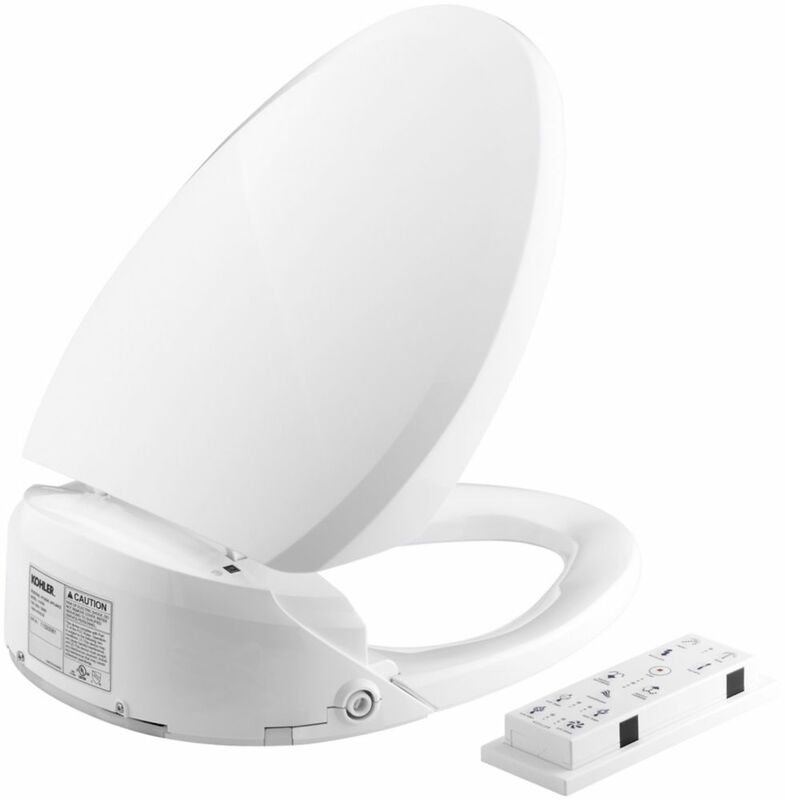 C3 201 Electric Bidet Seat For Elongated Toilets In White is rated 3.0 out of 5 by 1. Rated 3 out of 5 by bsii from Good but has breakdowns I have owned this product for almost 3 years. In general, it's been very good except for 2 breakdowns -- which I would not expect for a product that's so expensive. There's only a one-year warranty and no offer of an extended warranty that I'm aware of. After about a year and a half of use, the nozzles would not function. So I had to send the bidet back to the vendor who is NOT Kohler (Kohler wouldn't even deal with it) and it cost me about $350 to repair plus shipping. Now that I have it almost 3 years in total, the hinge connecting the lid to the seat seized and broke off from the lid. So I have removed the lid and am using as-is, waiting for the next breakdown before I again have to return it to the vendor for repair. Also, it takes some time and skill to disassemble for shipment. So all in all, I'm disappointed with the product quality and Kohler's lack of support.